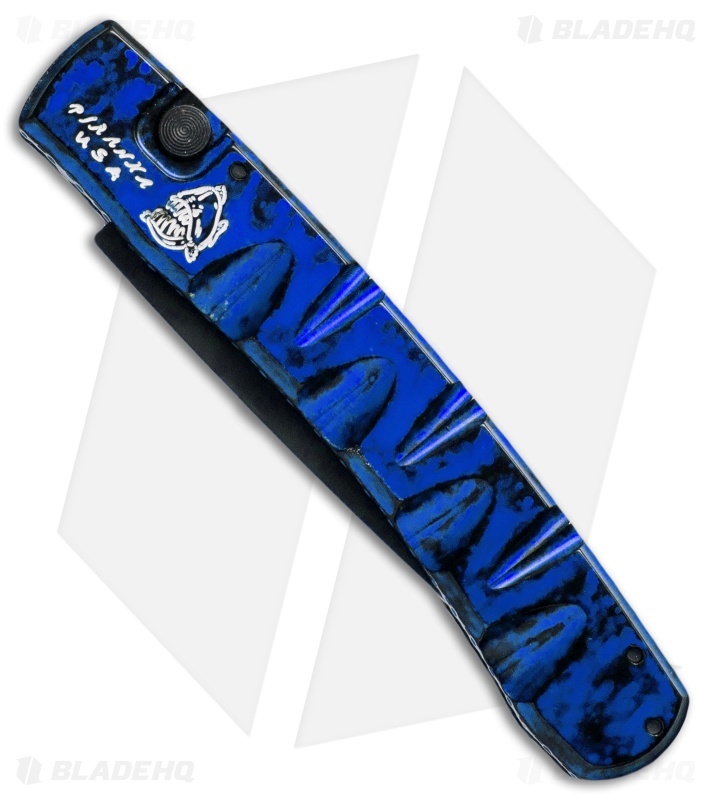 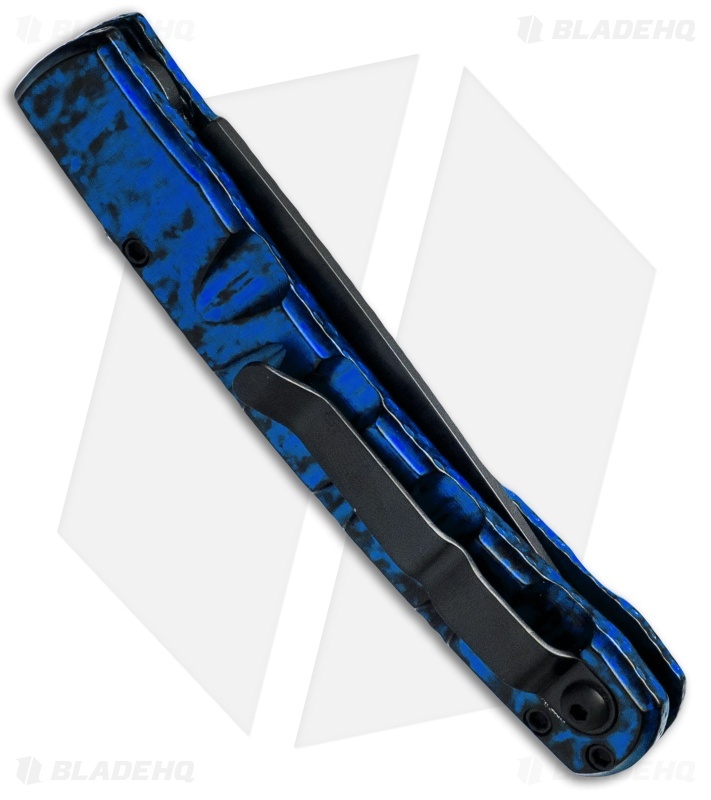 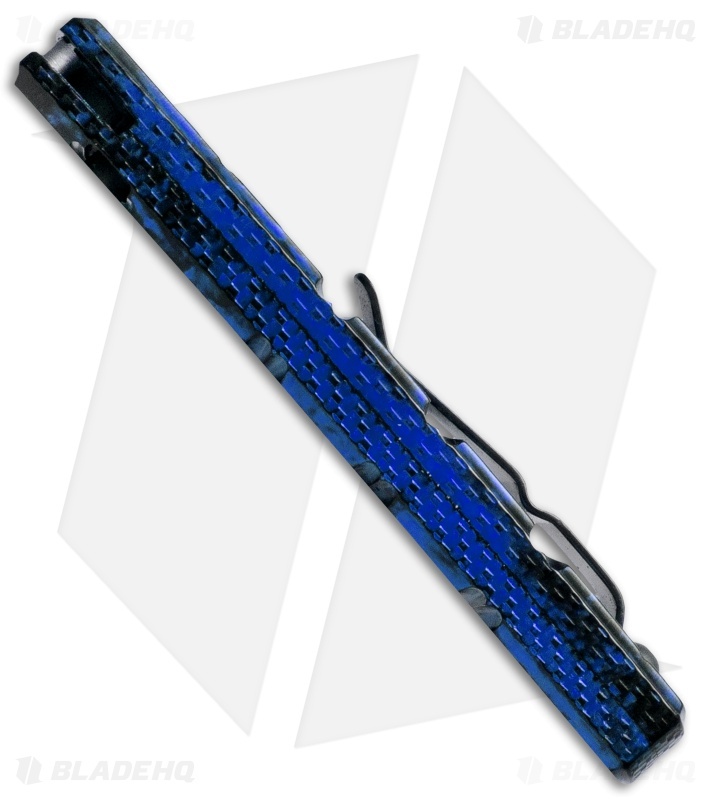 This Virus knife has a black finished blade with a plain edge and blue marble anodized handle with tactical black finished hardware and pocket clip. Piranha put their X model auto on a diet and the result is the Virus, a slim everyday carry automatic knife with loads of style and class. Differentiating marks of the Virus knife include the "file work" style handle grooves and a unique CNC machined texture along the edges for increased grip. 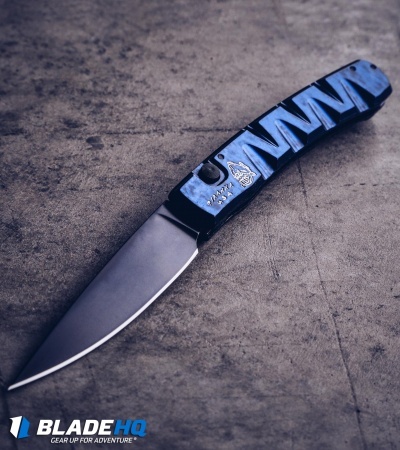 Akin to other models, the 6061-T6 aluminum handle on the Virus is available in a number of finishes and fitted with a titanium pocket clip. 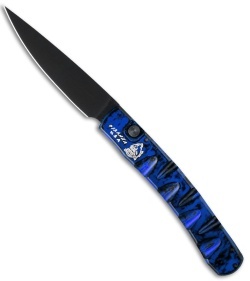 Its flat ground CPM-S30V stainless steel blade is quick to attention with a push of the firing button. 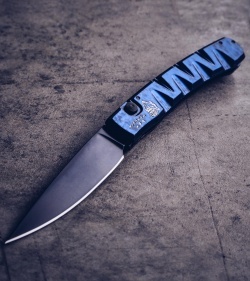 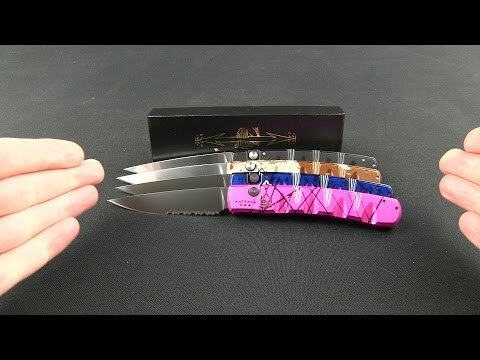 Piranha Knives have been in the business of automatic folders for a long time now and it is evident in the precision build-quality and consistent, strong automatic action you'll find on their entire line of knives.